Fewer than half of Americans are “extremely proud” to be American, Gallup reported Monday, a record low since the polling firm started asking that question in 2001. It was the first time that “extremely proud” Americans don’t constitute a majority in the poll. In 2003, 70 percent said they were extremely proud to be Americans. Thirty-two percent of Democrats say they are “extremely proud” of their nationality, compared to 74 percent of Republicans. Forty-four percent of women do, a marked drop from 51 percent in 2017. Thirty-three percent of nonwhite people are extremely proud to be American, compared to 44 percent in 2017. White people are 1 percent less extremely proud to be an American since last year, at 54 percent. Similar drops in intense national pride registered for respondents aged 18 to 29 and 30 to 49. 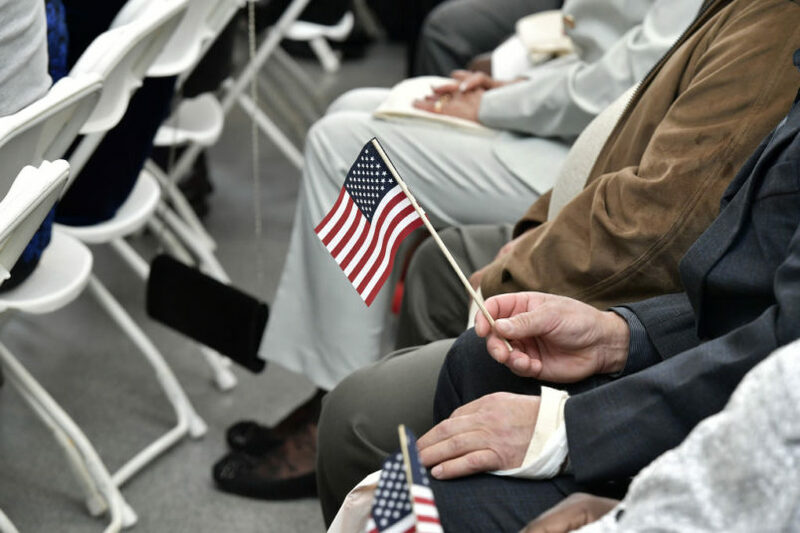 Even respondents aged 65 and above felt less proud, polling at 58 percent in 2018, a 2-point drop from the previous year, though 55 percent that group were “extremely proud” to be American in 2016. The number dropped for college graduates and non-college graduates as well since 2017, by 8 points and 2 points, respectively. The percentage of men “extremely proud” to be American stayed the same since last year, at 51 percent. The only group whose extreme national pride increased over the past year, according to Gallup, was respondents aged 50 to 64. Of those respondents, 56 percent are extremely proud to be Americans, compared to 50 percent in 2017. Still, that number is lower than it was in 2015, 58 percent, and in 2016, 64 percent.